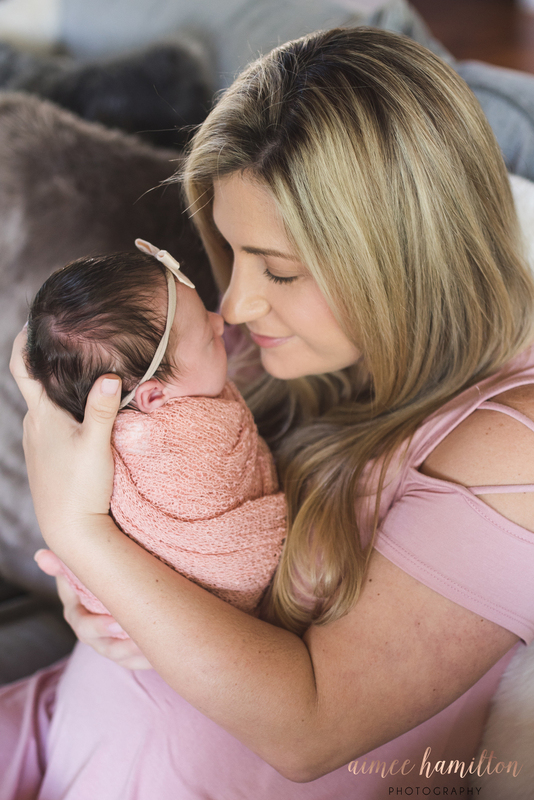 Newborn sessions at home are such a popular trend right now! If you have friends with new babies, I’m sure you’ve seen the sweet new family on the master bed, in the baby’s nursery, and everywhere in between! I just love how comfortable it is to have your newborn session in your own home! After all, you just had a baby and rest is on the doctor’s orders! On the other hand, maybe you don’t want to have to pick up the house. If you fall in that category, you might prefer a studio session! (Which…*maybe* I’ve chosen to do for #3! Ha!) 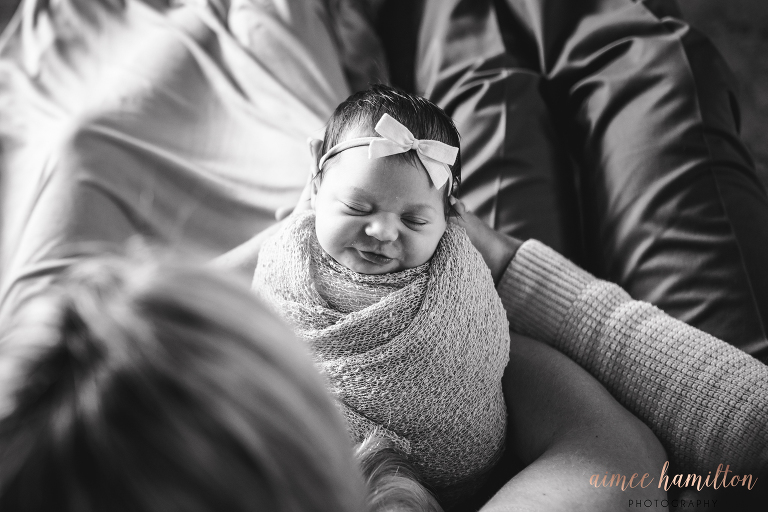 Whatever you decide you want to do, you can’t go wrong with documenting your fresh new babe! In the meantime, let me share this precious session with you! This sweet family chose to bundle a lifestyle and studio session together for the best of both worlds. We started with a session in their home and then moved the fun to my studio the next morning! For those of you with more than one kiddo, let me take you back down memory lane for a minute! What do you remember about bring home your first baby? If you’re anything like I was, you remember a little chaos, a little clueless feeling, but a whole lot of love for your new baby. I spent my days holding, snuggling, and staring at that new baby. This session totally brought back all of those happy memories. These last few pictures are from their studio portion. Isn’t she just beautiful? You’ll notice that these are very monochromatic. I just love the simplicity so that the focus remains on the beauty of the baby! 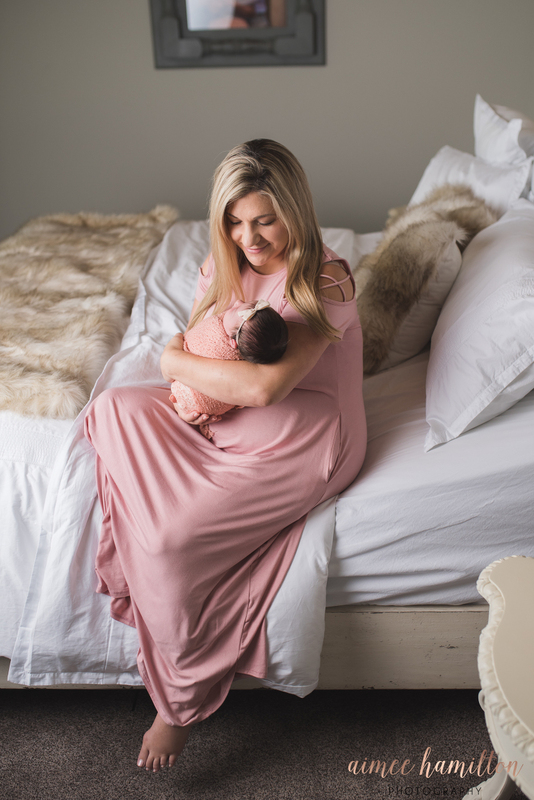 Aimee Hamilton Photography is a Magnolia Newborn Photographer specializing in all styles of newborn portraits from the newbies in the hospital, to poses in my studio. I offer it all! I have a brand new studio opening September 2018 for newborns, sitter (6-9 month sessions), and cake smashes! Christmas PJ minis will also available this year! Be on the lookout for that announcement soon!